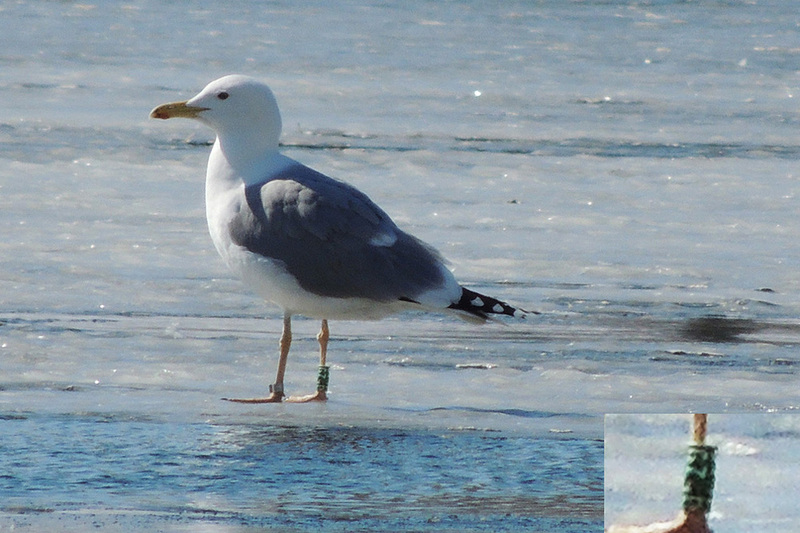 Larus cachinnans 674P March 28 2013, Minsk, Belarus. Picture: Dmitry Goncharov. Green ring 674P was seen in the center of Minsk 28.03.2013 on the river Svislotch (53°54' N, 27°32' E). Ringed in Poland, probably in the series of JANKOWICE - BABICE, MALOPOLSKIE, POLAND, probably ringed as pullus June 08 2003. But ring data still pending.